The gold medal winner at the Commonwealth games, Vikas Krishnan, was high on praises for the Indian boxing squad but felt that they could have added more medals to their tally. He asserted that the boxing squad will improve their medal tally in the Asian games to be played later this year. India grabbed nine medals in boxing at the Commonwealth Games in Gold Coast, Australia. Eight of the nine medals came from the men’s category, where each of the eight members of the men boxing squad ended up on the podium. On the other hand, one medal was won by five-time world champion MC Mary Kom, who won gold in women’s 48kg category. Vikas showed much confidence in his squad and asserted that they will perform much better in the upcoming Asian games, although he did admit that Asian games will be much more competitive event than the CWG. "There is no comparison between the Commonwealth Games and the Asian Games. The Asiad is like a mini Olympics. Countries like Thailand, South Korea, Japan, Philippines, Mongolia, China and former Soviet nations like Kazakhstan, Uzbekistan, and Turkmenistan are among the stronger nations in world boxing. The Asian Games is going to be much tougher. We will not get such easy competition like the Commonwealth Games," Vikas told IANS. "But still we should improve our medal haul at the Asian Games, including at least one gold. Last time we got just two medals when Satish and I got bronzes in our respective categories. This time we should get four to five medals." The 26-year old did feel a little disappointed on the number of medals, given that all eight boxers reached the semi-finals of their respective category. Gaurav Solanki was the only Indian apart from Vikas to win Gold among the men, who won the yellow metal in the 52 kg weight category. "Overall performance was good, but we could have won more gold medals. Manish (Kaushik), Amit (Phangal), and Satish (Kumar) all lost by very small margins in their respective finals. All these finals were extremely close and could have gone either way," the Haryana star said. "The final bouts that our boxers won, like me and Gaurav Solanki, were by 5:0 margins. But the finals that we lost were by scores like 3:2. So the fact that five of our boxers did so well after reaching their respective finals reveals volumes of our high standards," he added. Contrary to the popular opinion, Vikas felt that he didn't face a tough competition at CWG. Vikas won gold in the 75 kg category and insisted that he won all the games one-sided without any problems. "It was not tough for me at all. Everybody was saying that I had a very tough draw, but I did not face too much of a challenge. 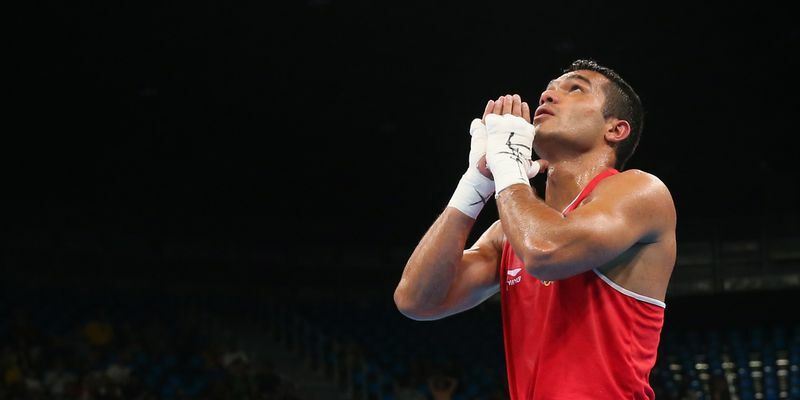 I had a bit of a trouble in the quarter-finals, but after that, I beat three Olympians from the 2016 Rio Games one after the other," the Indian Army boxer said. "Fighting three Olympians in consecutive bouts is not an easy task. But I registered one-sided victories in each of those bouts," he added.